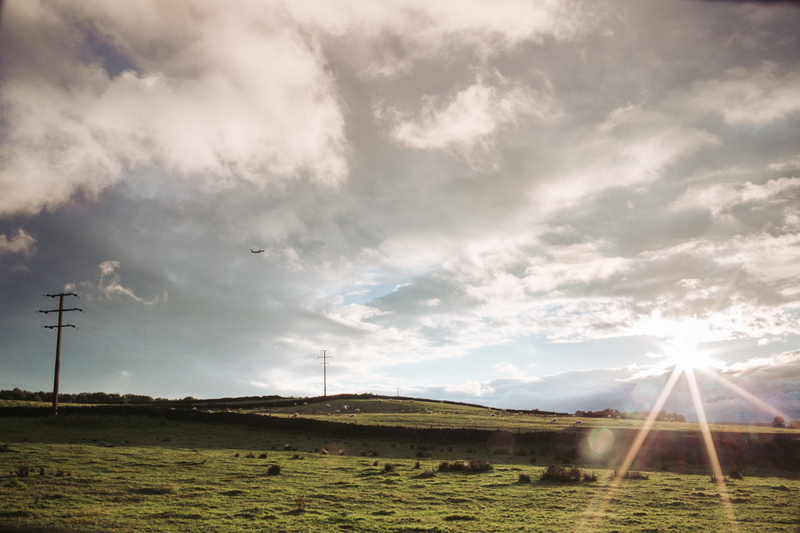 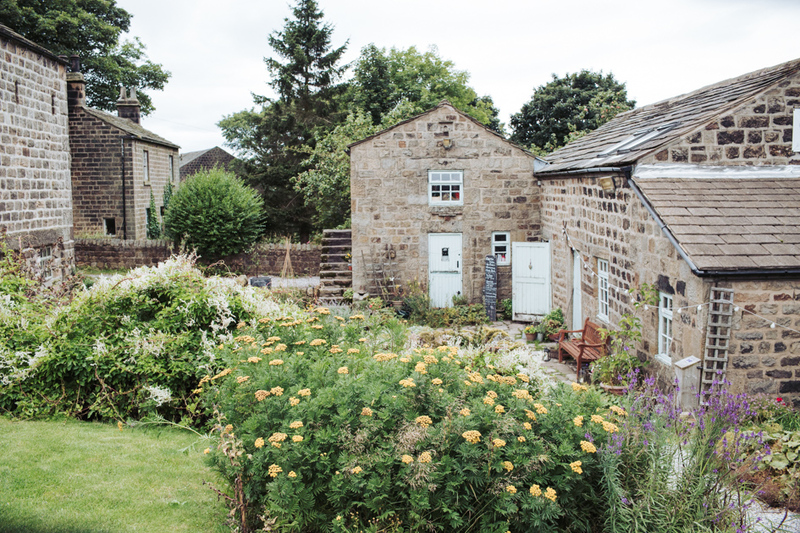 Otley Chevin is a beautiful part of the world to explore, with fabulous woodland, rocky outcrops and lovely vistas over the rolling Yorkshire hills. 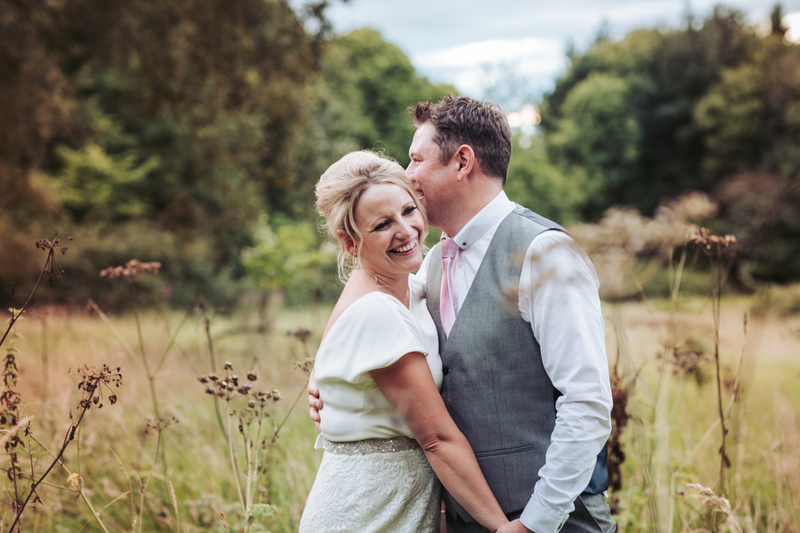 So I was super delighted to be wedding photographer for these childhood sweethearts, Cheryl and Charlie, at their Cheerful Chilli wedding! 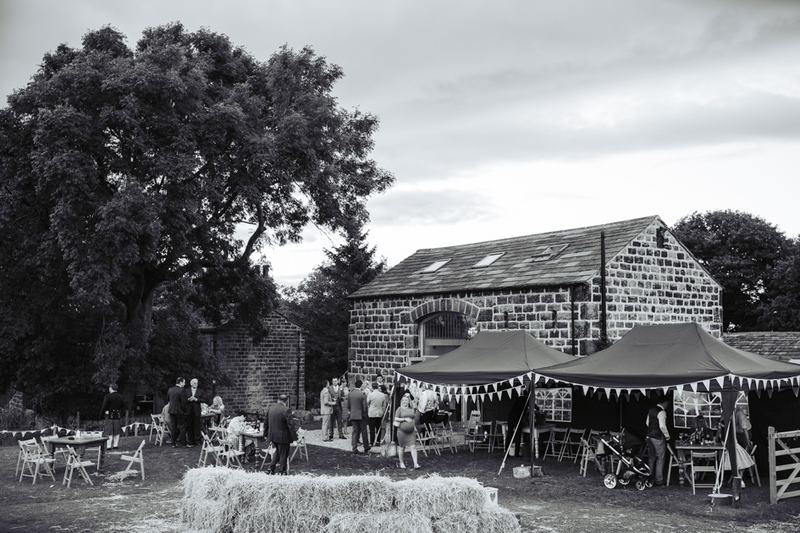 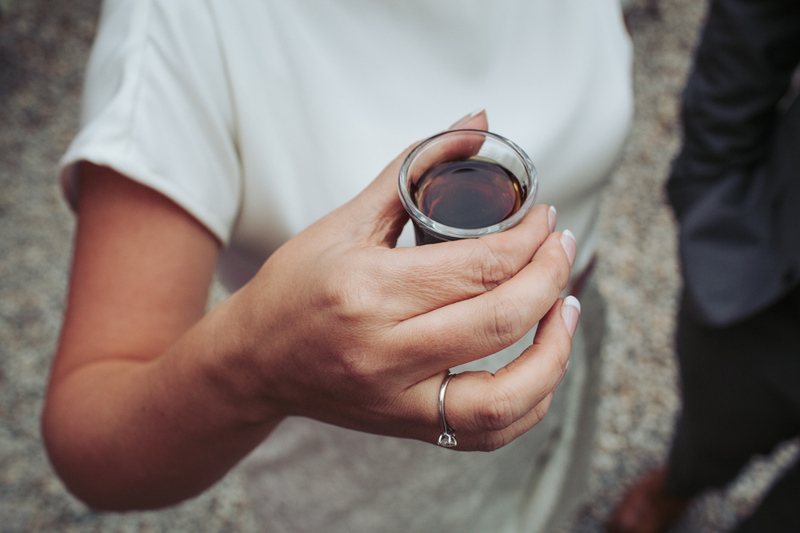 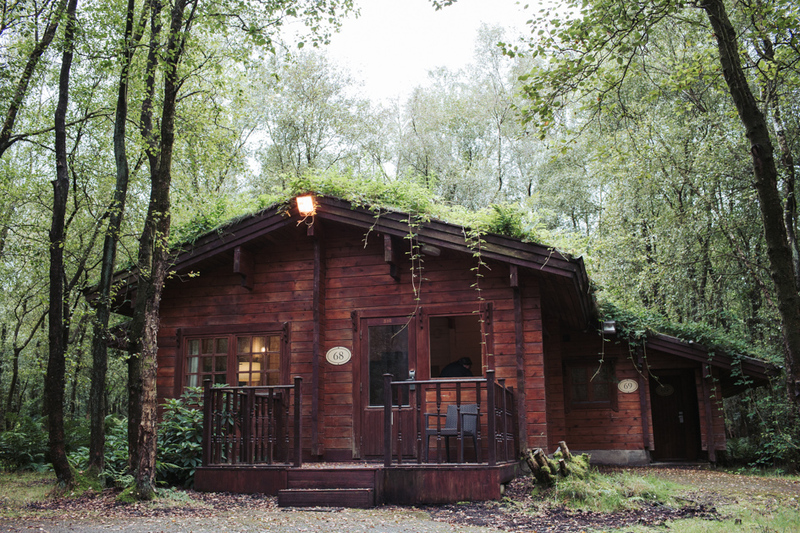 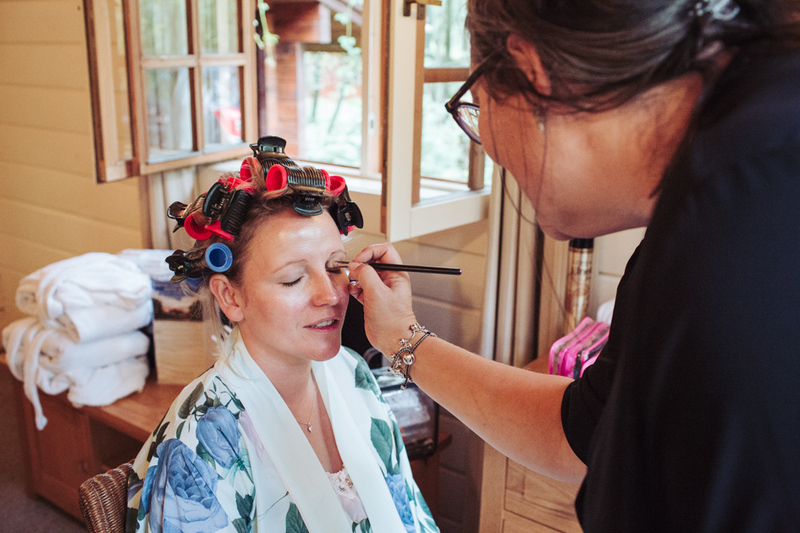 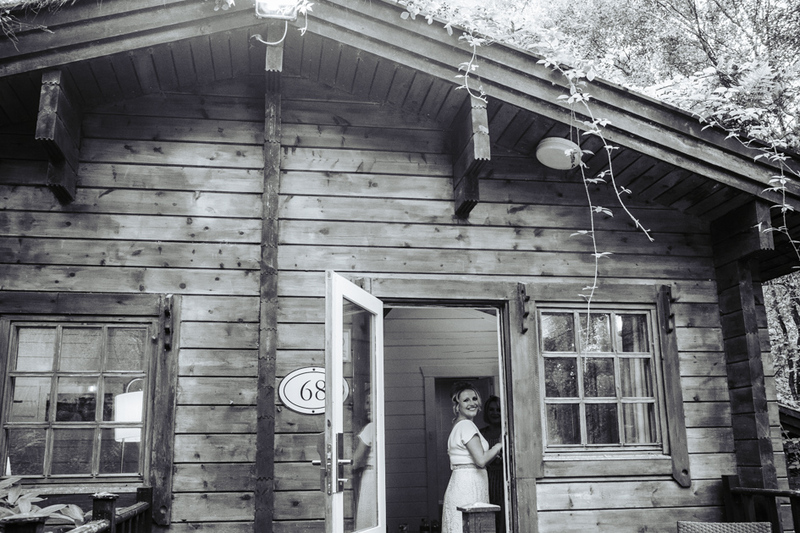 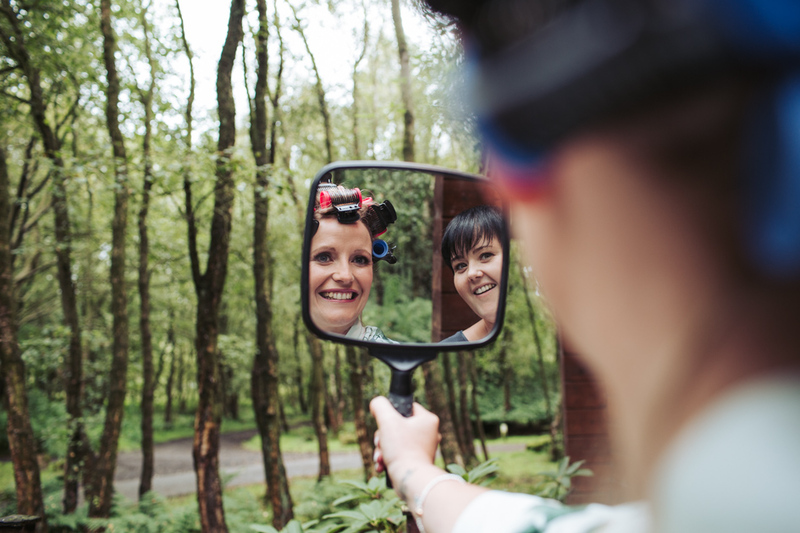 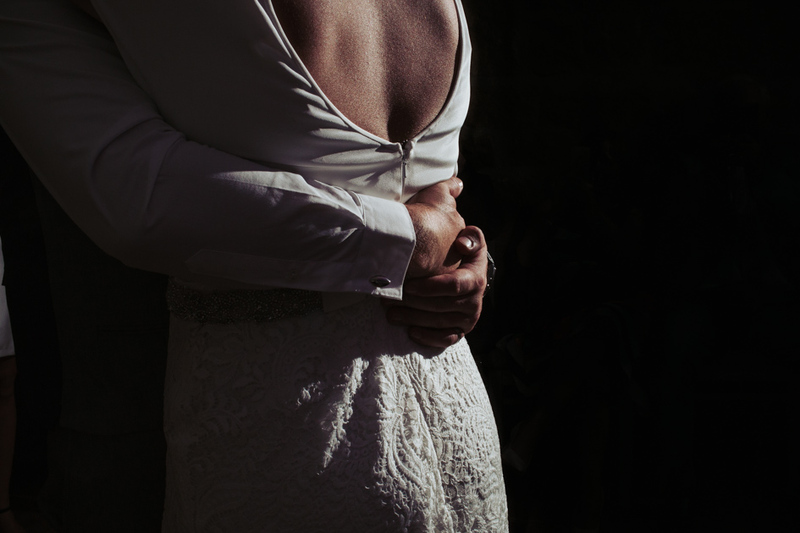 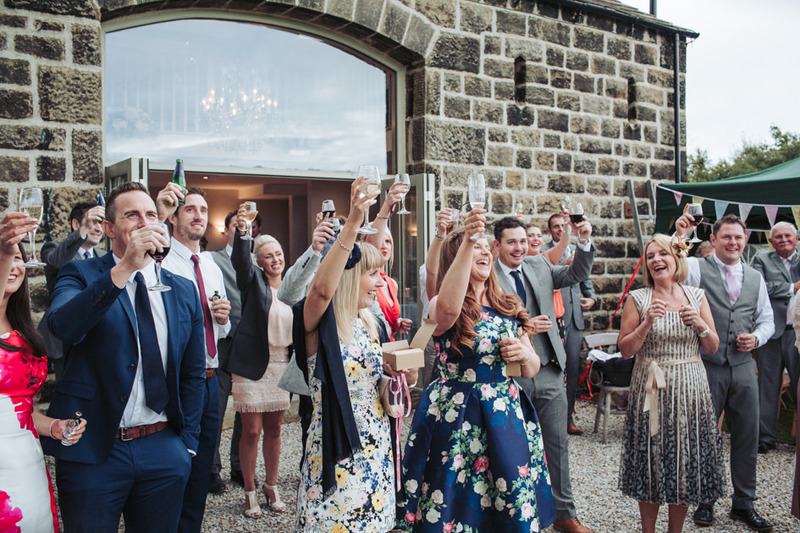 The bride’s day started just around the corner from the venue at the Chevin Country Park in a wood cabin set among the fern filled woodland. 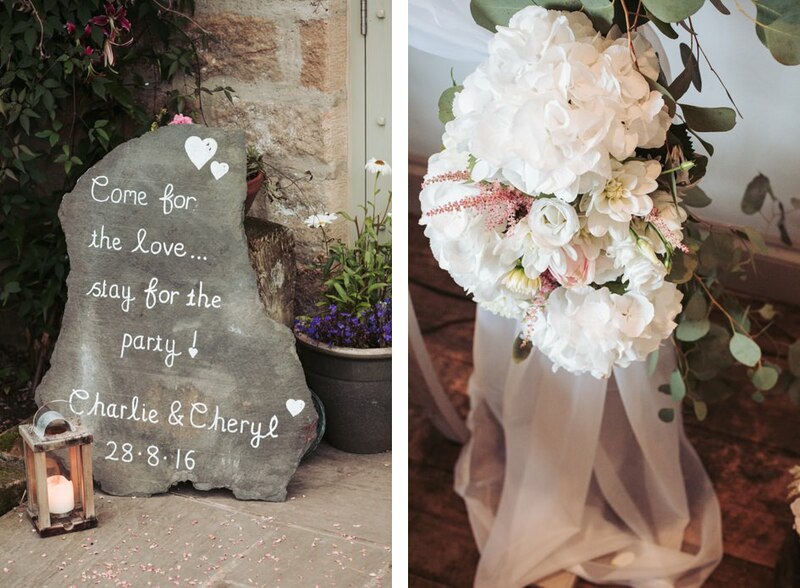 The first item Cheryl had bought for her wedding was a dress for her daughter, who was also a flower girl. 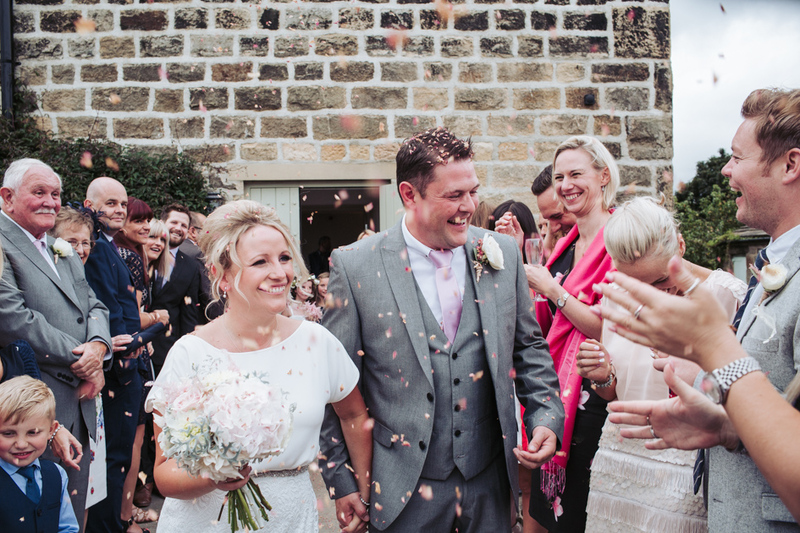 The colours of this dress, white top with pink skirt, then inspired the colour theme for the rest of the wedding. 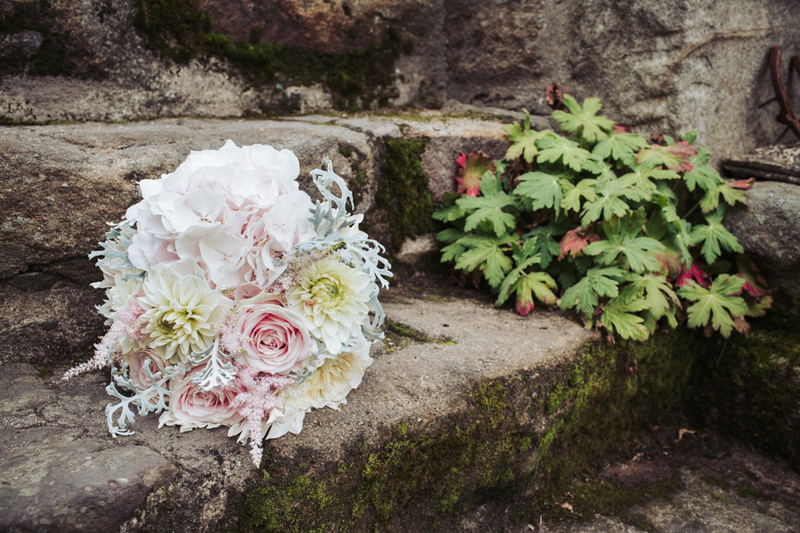 With Cheryl being the wedding florist of Flowers @ No.5, she used this as a starting point to pick out her flowers, with a mix of white with the most delicate hues of pinks and peaches, set with muted silvery green foliage. 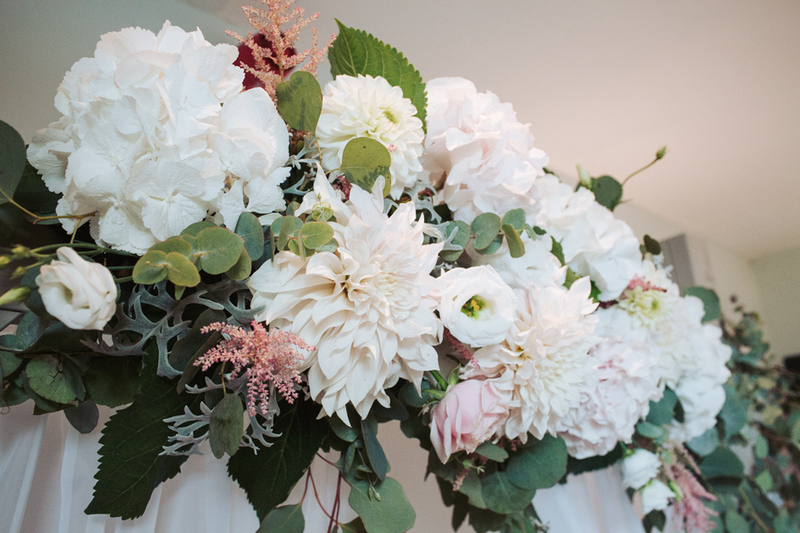 She had arranged all her own flowers for the day, which included a stunning flower archway. 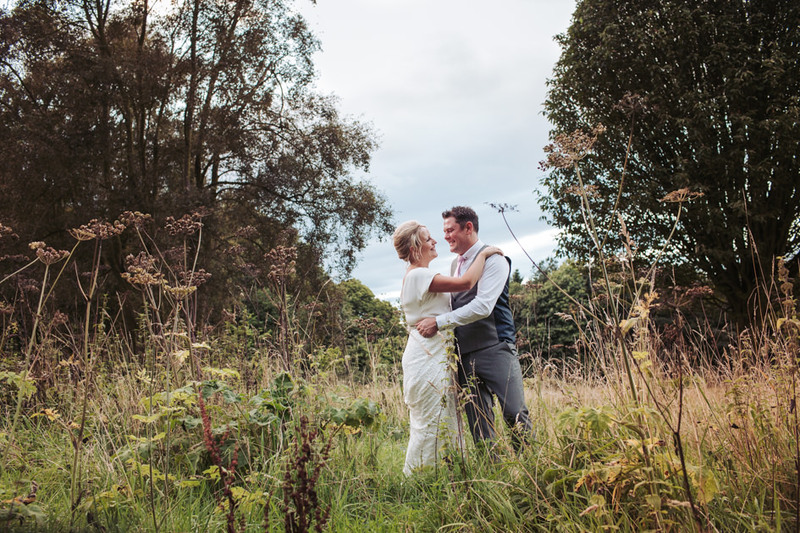 I stole the couple away for a few pictures around the Cheerful Chilli wedding venue as well as across the road in Chevin Park as the sun dipped low. 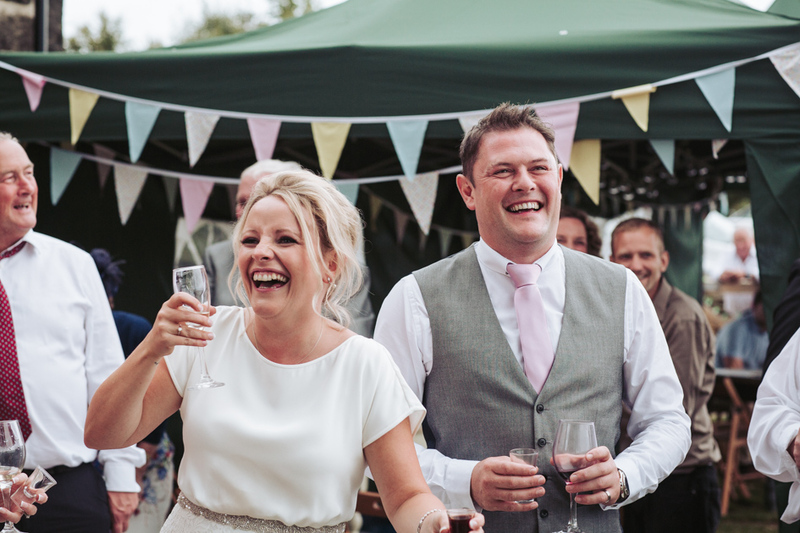 The speeches took place outdoors in the warmth of the early evening. 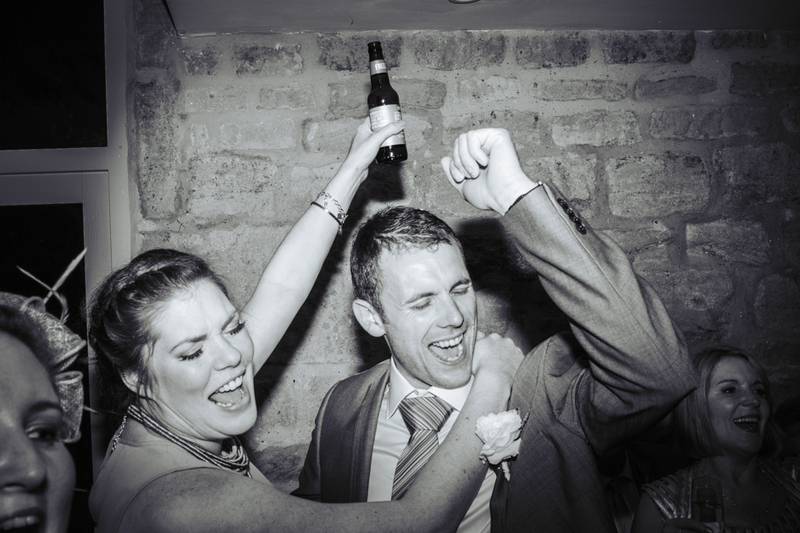 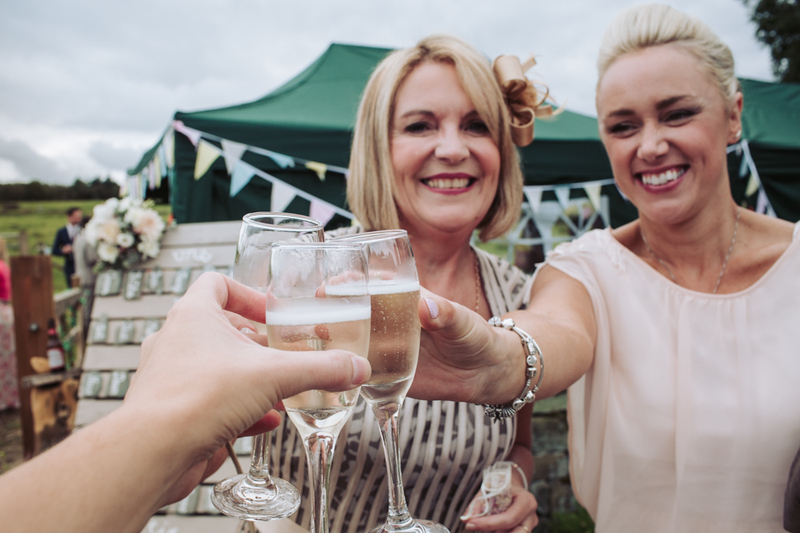 Everyone was in jovial spirits, particularly after downing their wedding favour shots of Jegermeister! 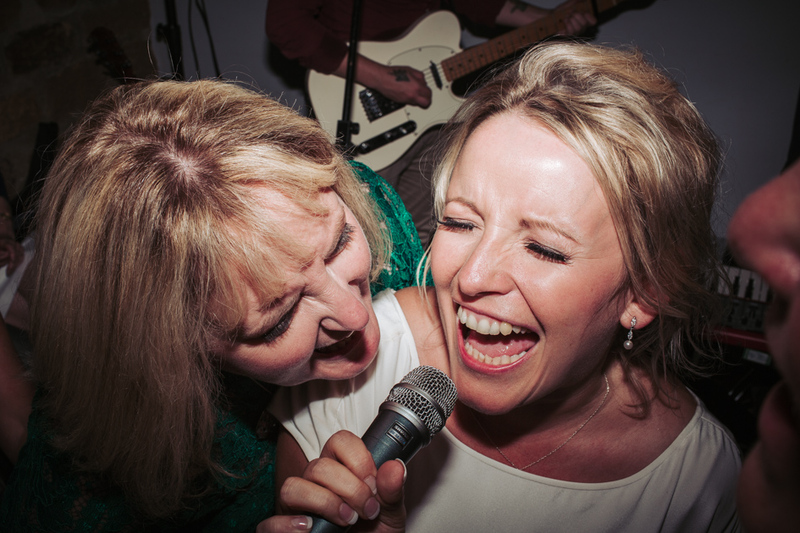 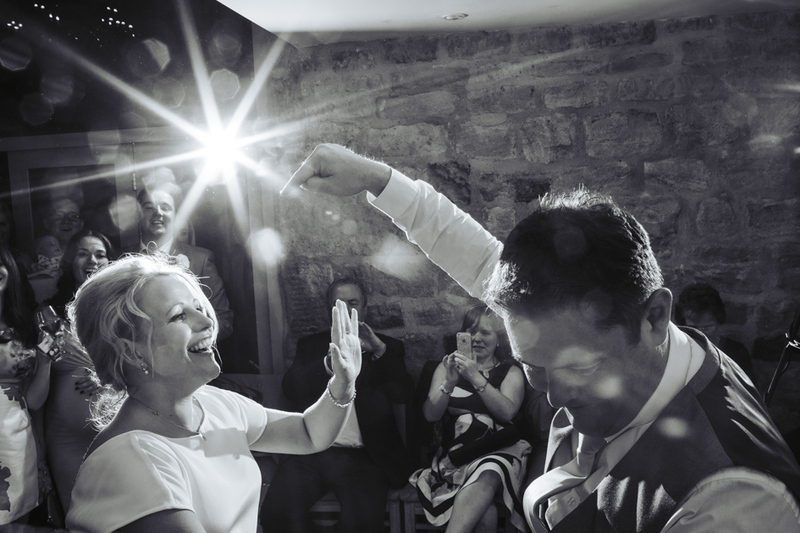 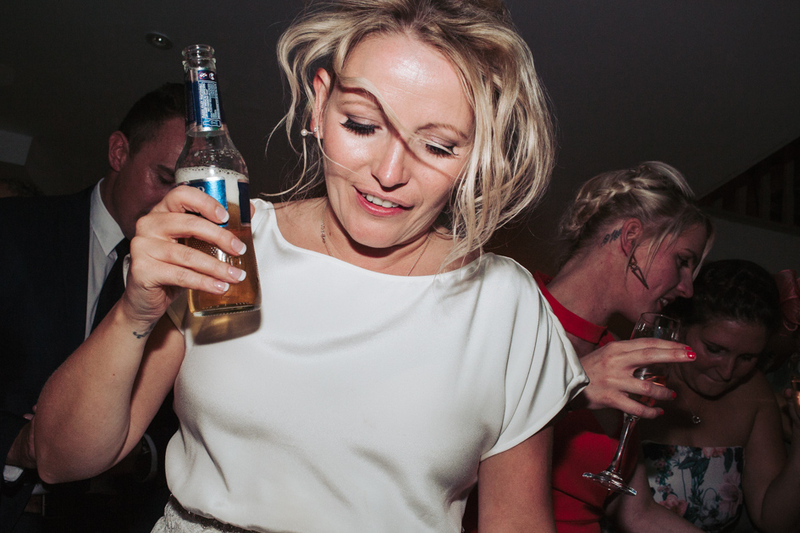 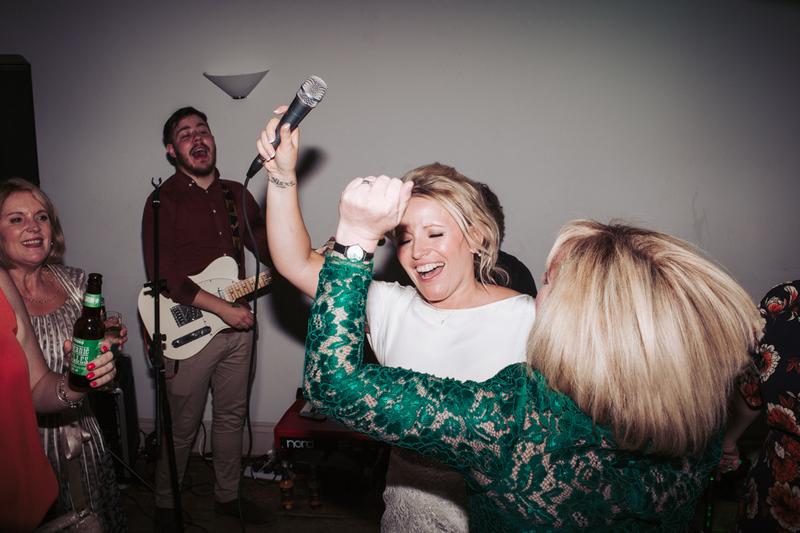 The fun loving vibes carried on into the evening as the booze and giant burritos flowed, people blasted their shapes on the dance floor and the bride took hold of the mic and sang her heart out to Living on a Prayer. 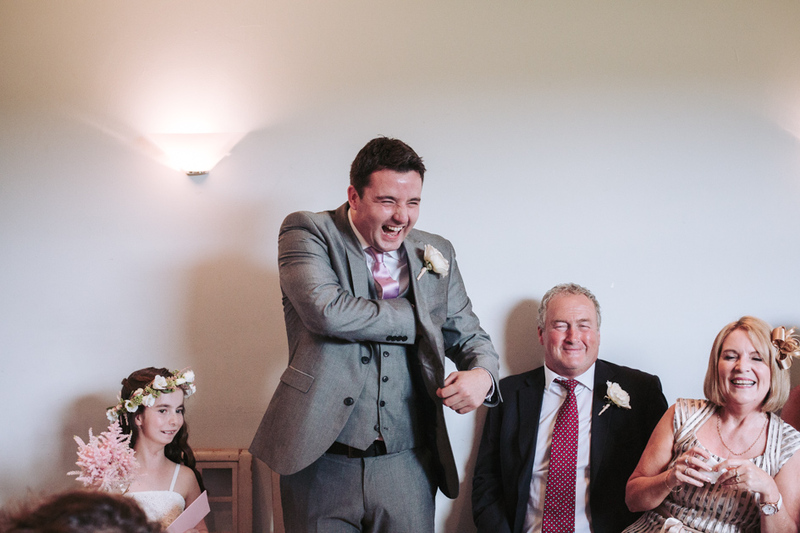 The constant laughter throughout the day was infectious. 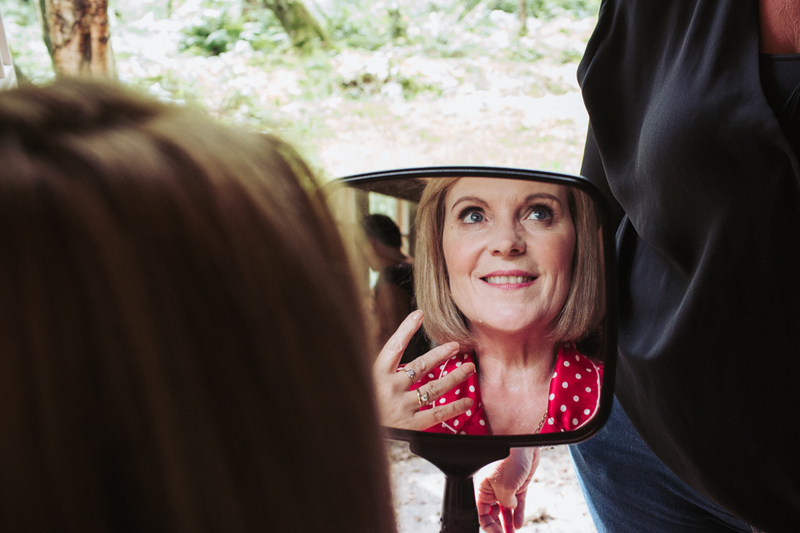 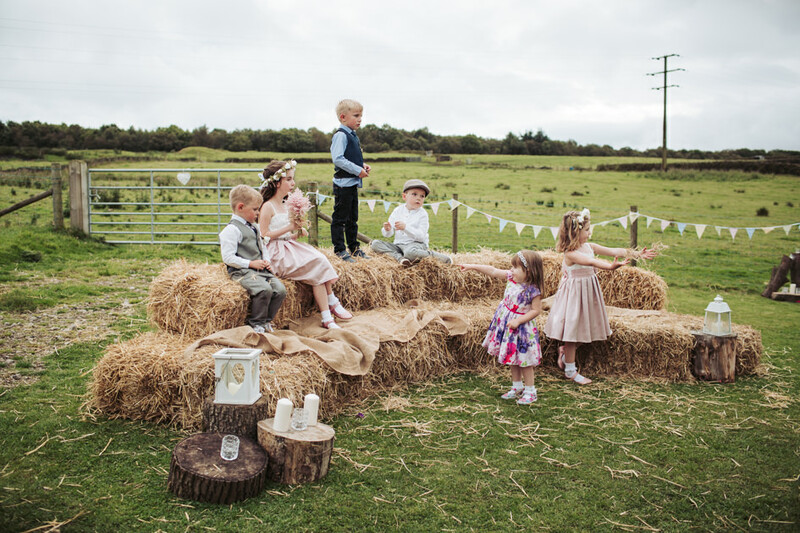 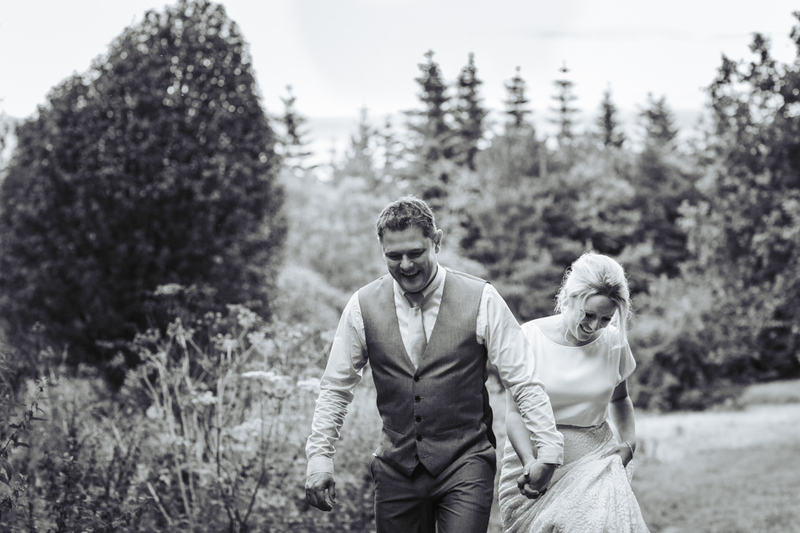 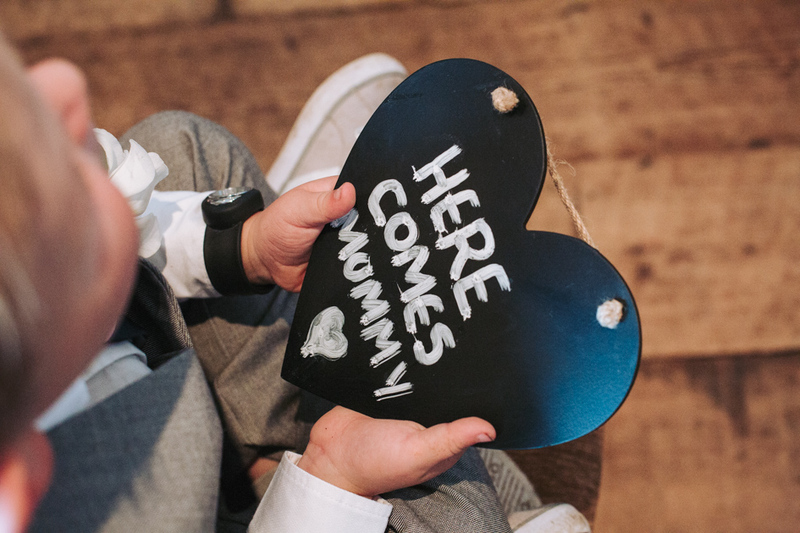 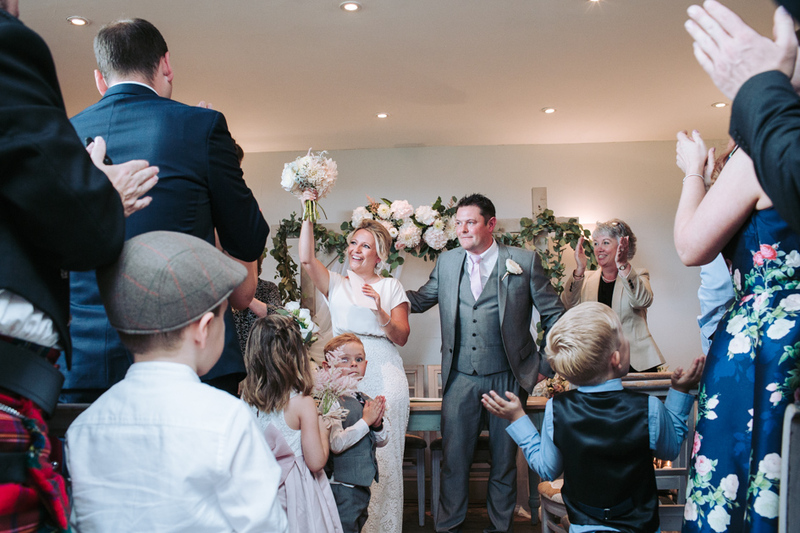 Cheryl, Charlie and all their family and friends were so much fun to be around and it was an absolute pleasure to capture their fantastic day! 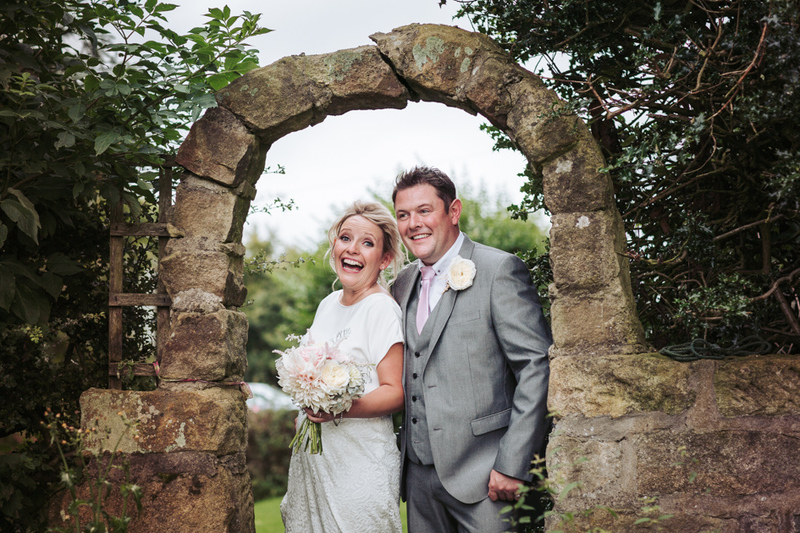 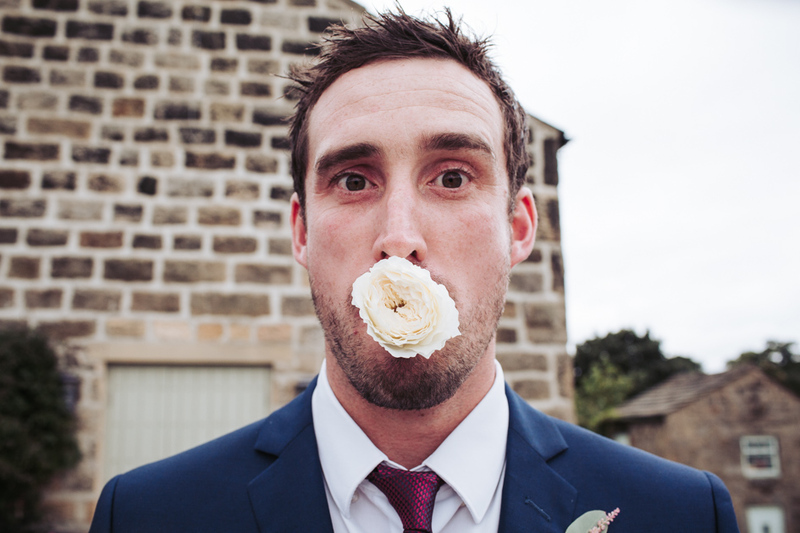 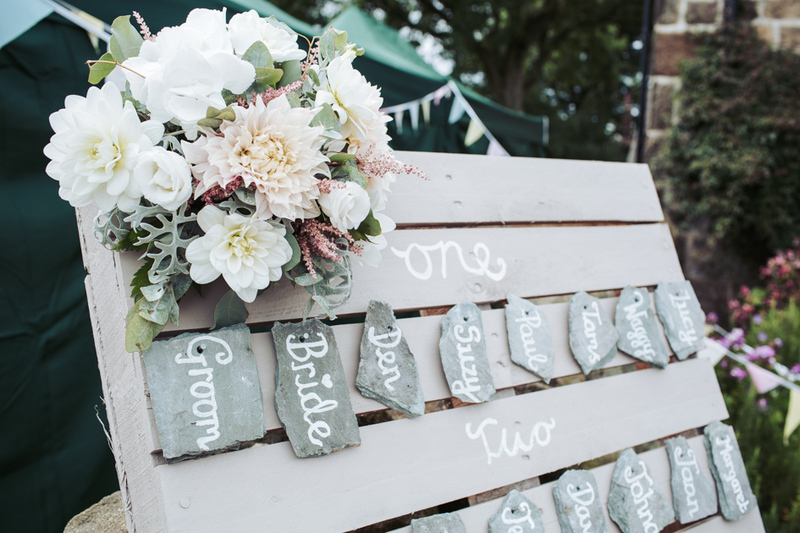 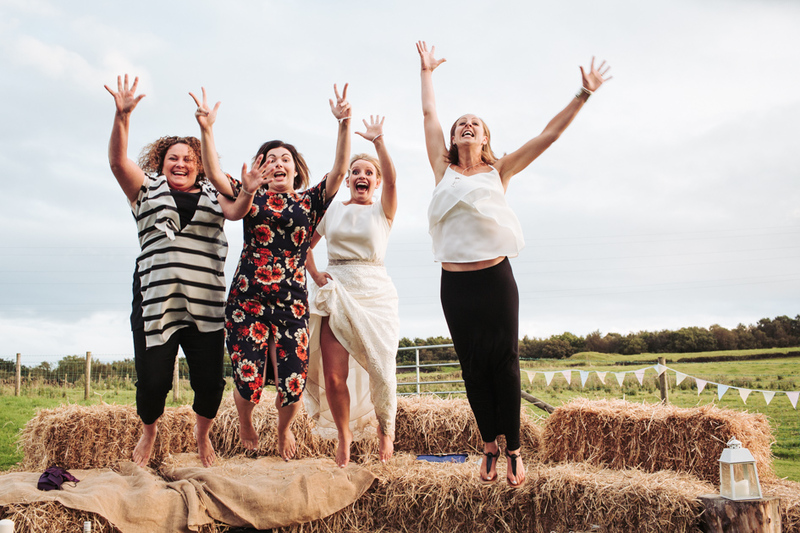 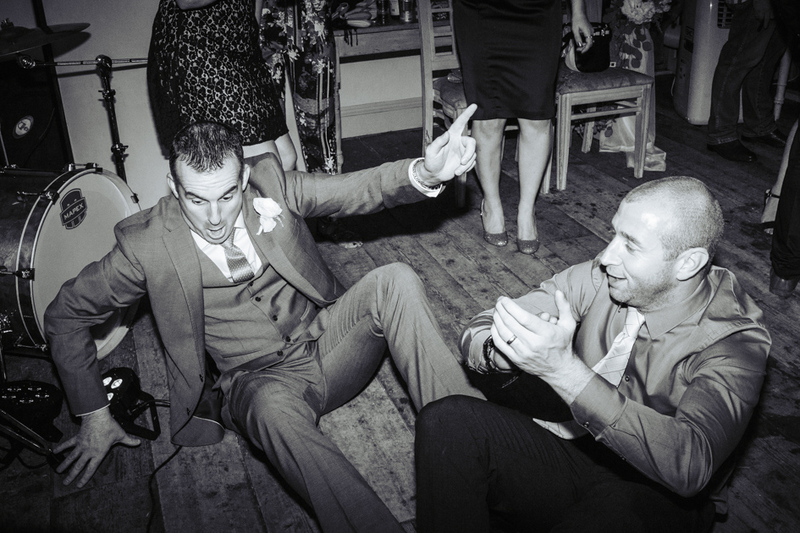 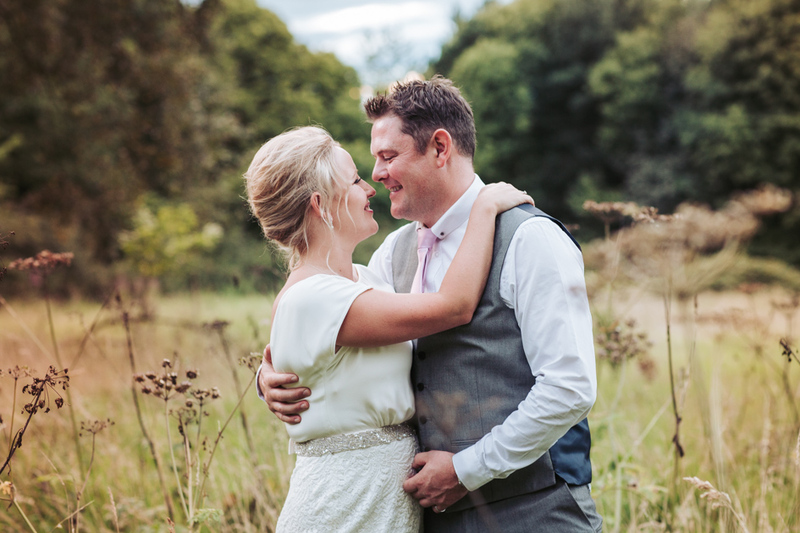 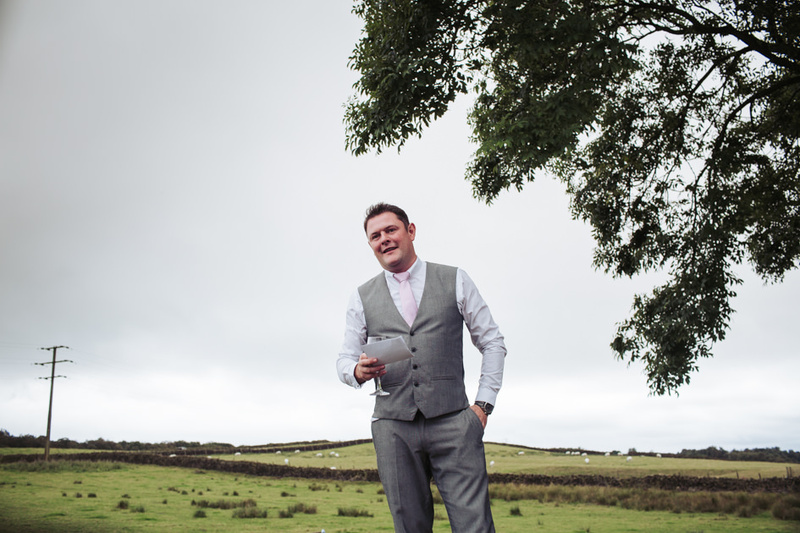 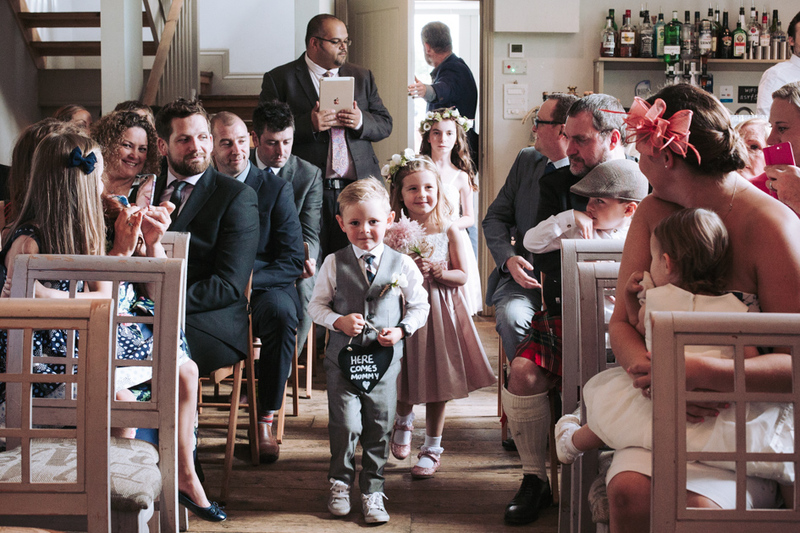 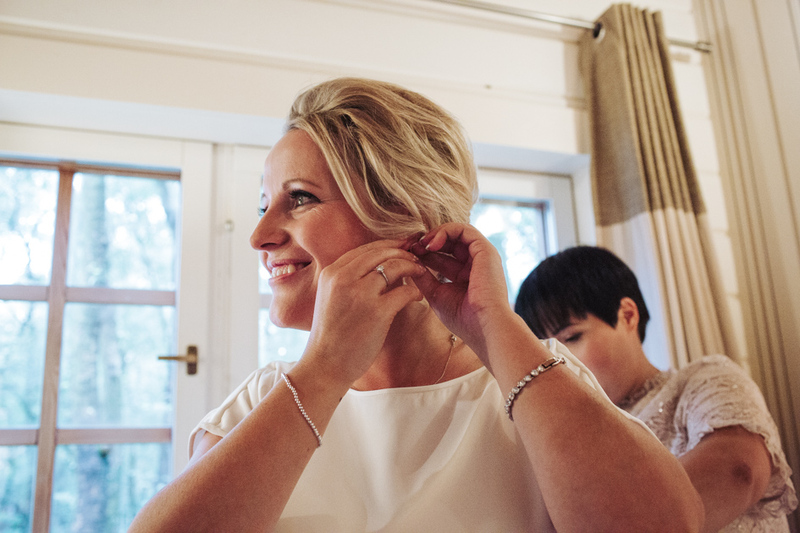 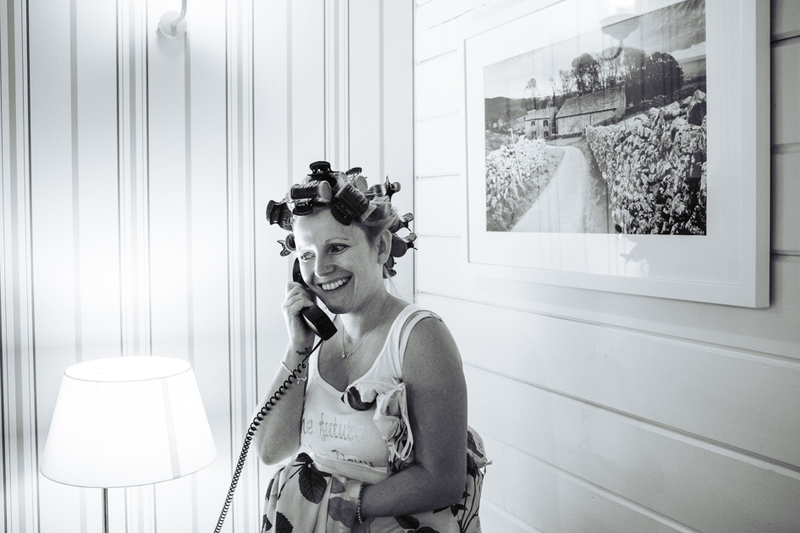 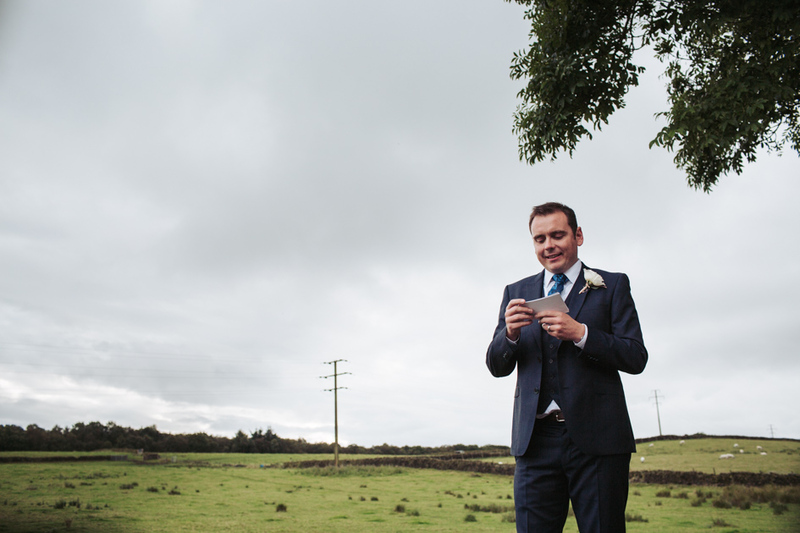 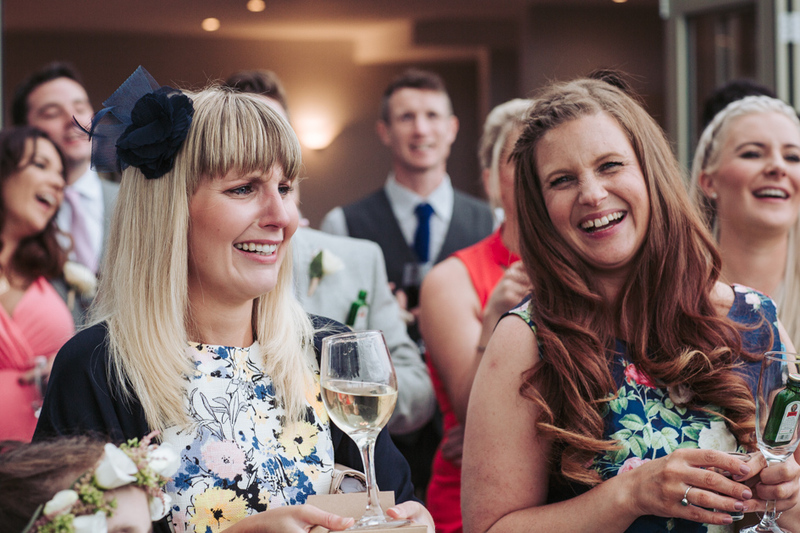 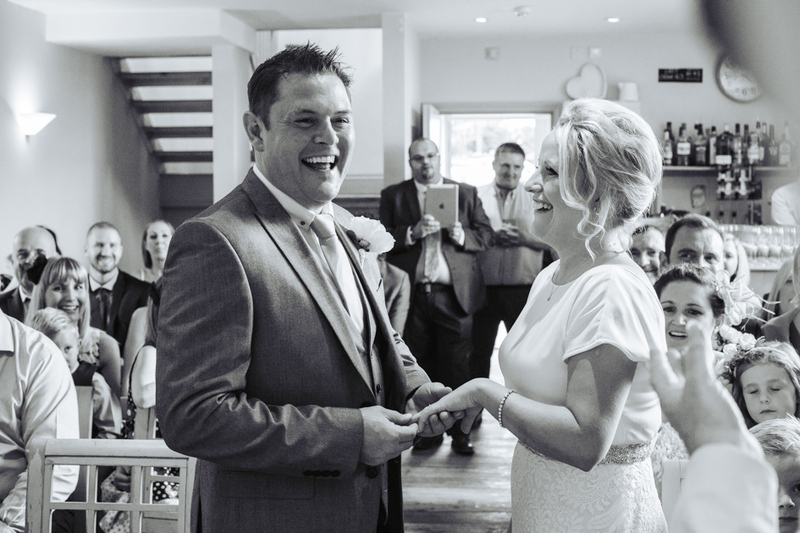 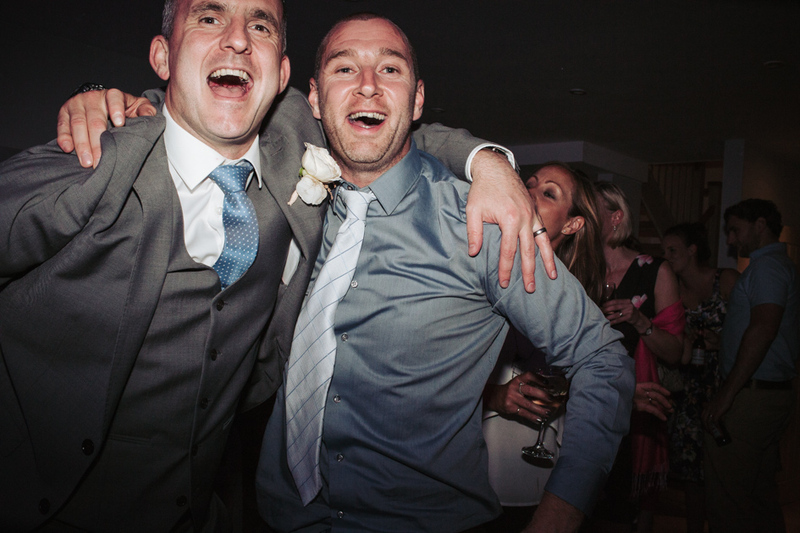 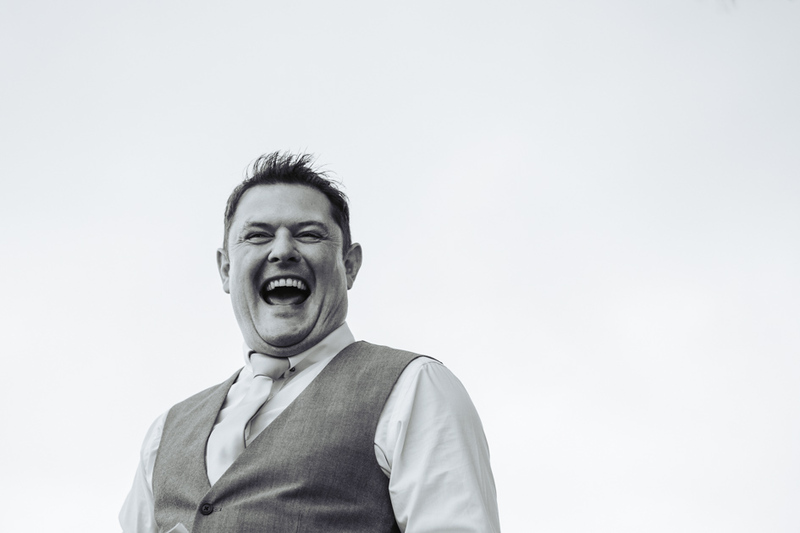 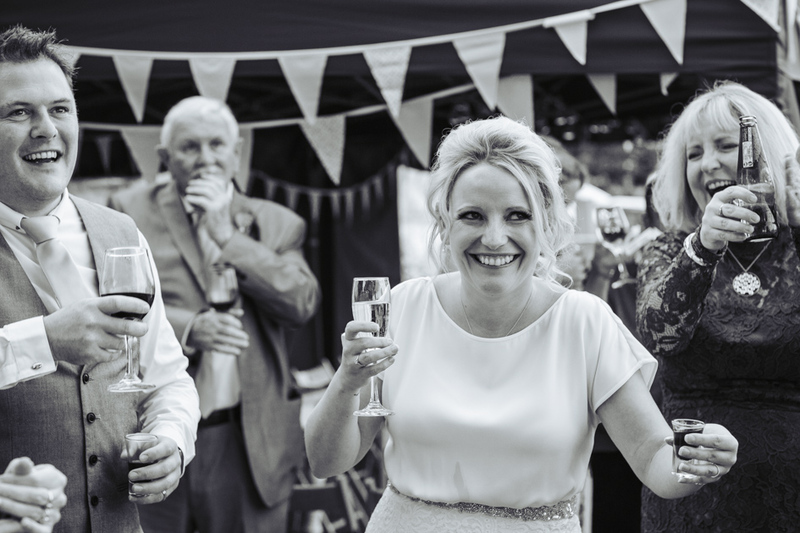 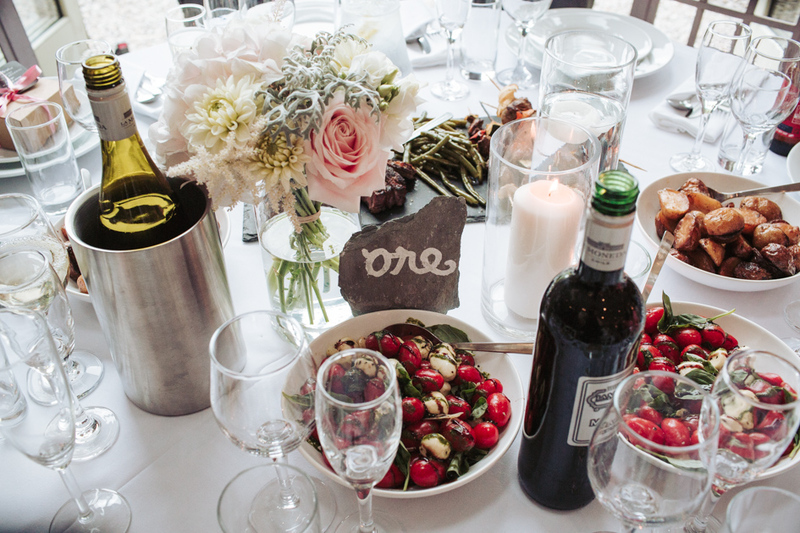 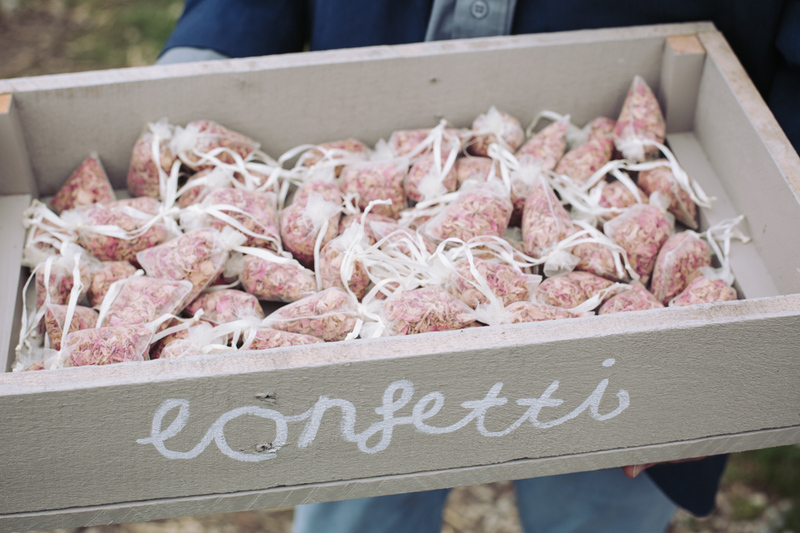 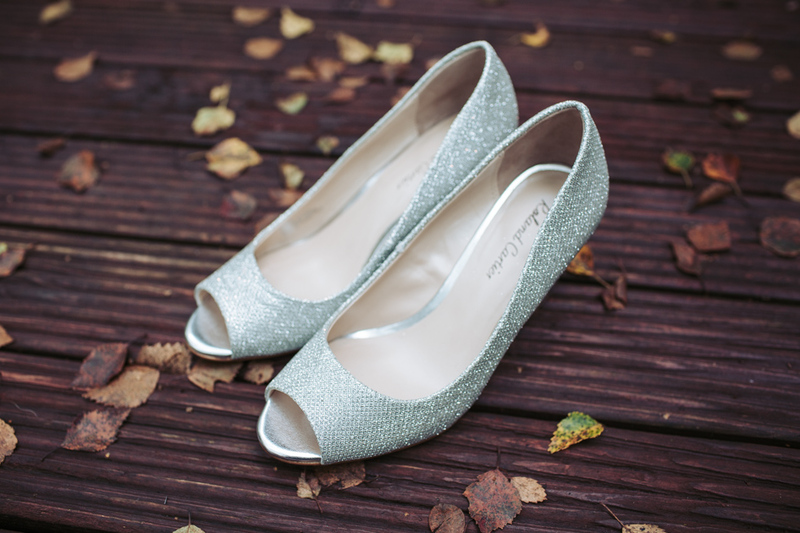 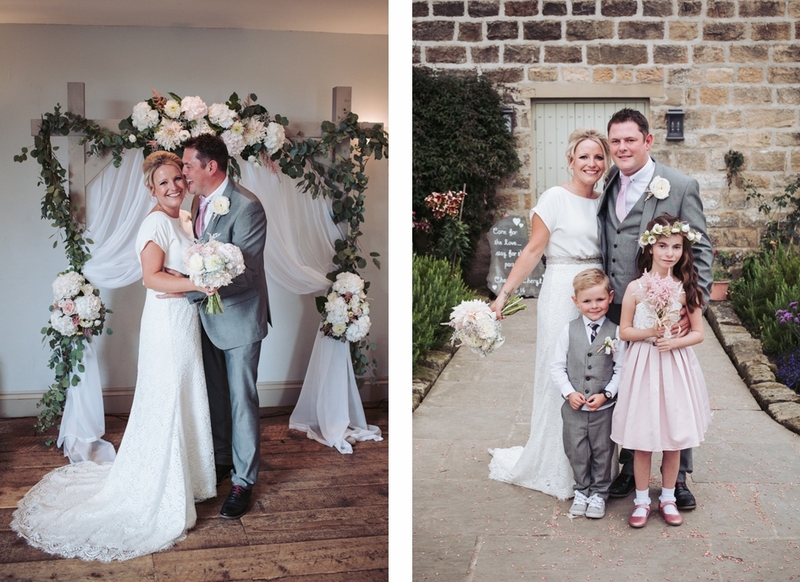 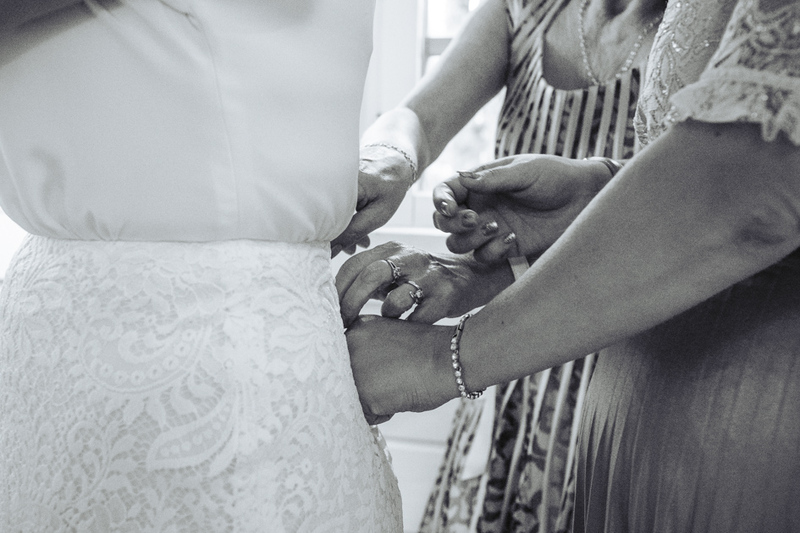 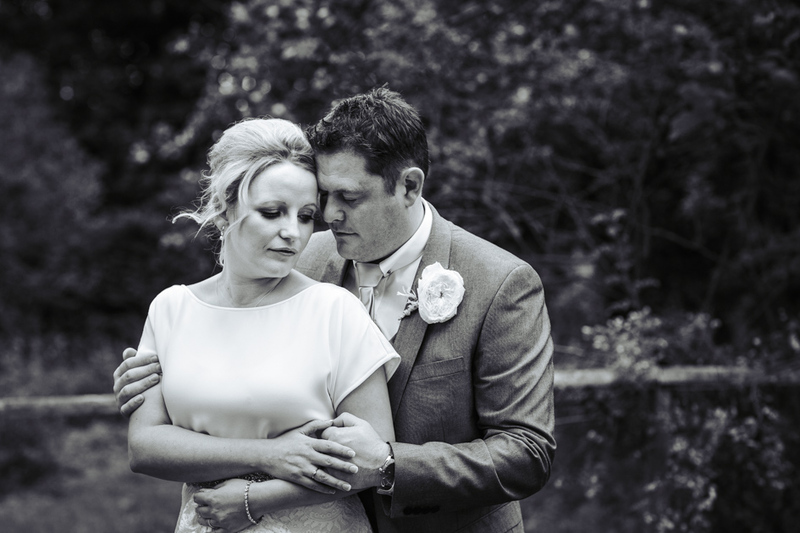 Scroll down to see more from this lovely Cheerful Chilli wedding day.